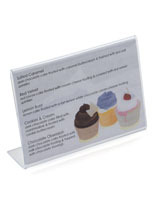 Lucite Sign Holder - This Lucite sign holder is great as a sign frame or as a desktop literature display. 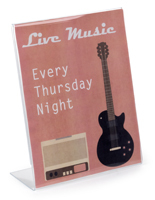 The sign holder is easy to load. 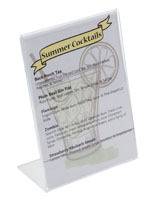 Just slide paper in the back sides for fast changes. 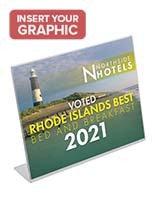 Great service, quality, and availability on such short notice. 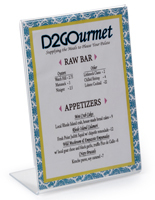 Never had a bad experience with Displays2Go, which makes ordering from you guys once less worry for our tradeshow needs. Thank you in advance for all of your hard work, keep it up! You're making us blush! Thank you for being a loyal customer, Alexis. 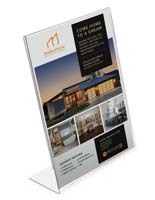 We're proud to deliver such a great experience, and we're so happy that you can continue to rely on us for your trade show needs. 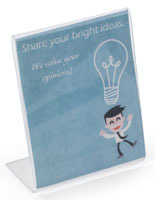 7" x 5" Plexi Frame - Needed super quick! As with all orders with your company, I needed something shipped asap and you were able to accomodate it right away! Received super quick and already shipped out to retail locations for a new project. Thanks!!! Thanks for the feedback, Elaine. While you had some initial issues with your order, we're glad that our customer service team was able to resolve them quickly. We hope to hear from you again. 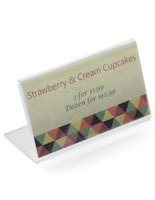 We needed acrylic sign holders to send to the stores we do business with, so they had a sign about us by the product. 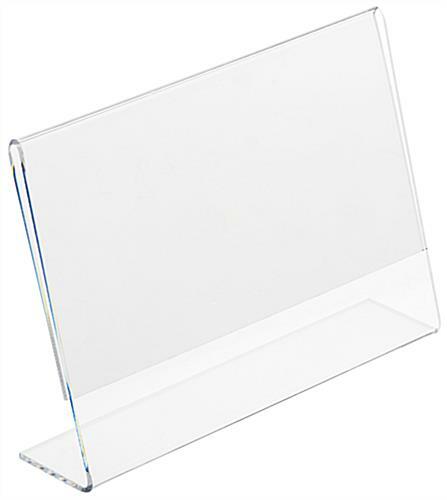 I had ordered acrylic holders from a different company and they were crooked, and wouldn't refund our money. 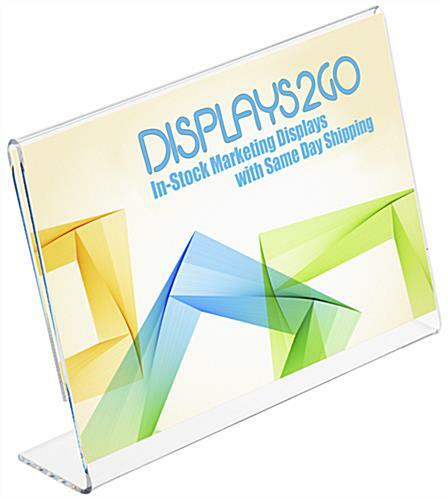 I then found Displays2go and the acrylic holders were perfect. They worked really well! This is my second time ordering from here.